Your One Stop for all Your Master Keying Needs. most versions of Windows. Some W'10 machines have problems. These problems can be resolved! To purchase the program, click here. Now master keying can be made easier for those locksmiths who don't have the time to sit down and develop a system, large or small. All this for the reasonable download price of $275.00. If a CD backup is needed, the additional price for the CD plus shipping is $25.00. The package also includes printed documentation. To download the free 30 day no risk trial, or upgrade your existing software, click here. To purchase the program click here. Generate random alpha/numerical codes from 4 to 30 characters. 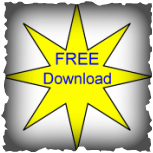 To download the free program, click on the star below. ​​FasterMaster has just gotten better. It has been ﻿married with Rabbit Trax for tracking the issuance of keys, ke﻿yed padlocks and security containers. All this for the reasonable download price of $375.00. If a CD backup is needed, the additional price for the CD plus shipping is $25.00. The package also includes printed documentation. How many times did you wish you had a program that would create a pinning chart listing change keys under an interchangeable core control key but not under a master key. Have a customer who needs a bunch of change keys for I-Core and they all function under one control key? Well, FasterNoMaster will now do that for you. To view a sample of a report, ​click here. To download the demo program, or upgrade your exisiting software click here. How many times did you wish you had a program that would create a pinning chart listing of change keys where each change key had its own interchangeable/removable core control key but not under a master key. Have a customer who needs a bunch of change keys for I-Core and and each core has its own control key? Well, FasterNoMaster II will now do that for you. To view a sample of a report, click here. Standard Master Keying: Digitized class on generating change keys. Advanced Master Keying and /Putting it all together: Digitized class on creating floor plans, Customer requirements and generating the final master key system. Generate combinations for safes, Simplex® Unicans and Schlage® Cobra locks. All this for the reasonable download price of $30.00. To download the free 30 day no risk trial, click here. Want a program that will track containers/buildings, locks and keys? Want to be able to issue locks and or keys to people? Want to be able to track who has access to particular locks or buildings? All this and more is now available with Rabbitsoft's 'Rabbit Trax Lite'! Download and install the free demonstration program here. The demonstration program will function for 15 days. During the demonstration period, you can add a maximum of two customers, two containers, two locks, two keys and two employees. We will also need the name that you want the program to be registered to. When we have this information, we will provide you with the unlock code. Once the program is registered, you will have full access to the program and all previously indicated restrictions will be removed. Product of Value by the Society of Professional Locksmiths.